We are pleased to inform you that the Chief Commissioner’s Award Exploration Test I is now open for registration. 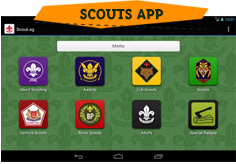 The Chief Commissioner’s Award Exploration Test is one of the crucial tests in the Scout Progressive Badges Scheme, leading to the attainment of the Chief Commissioner’s Award. It is an exploration-based test that requires Scouts to employ management & orienteering skills. Closing Date: 26 February 2015, Thursday Max. Participants: 30 Scouts who have successfully registered for the test are required to attend a Pre-Exploration briefing and attendance is compulsory. Scouts who failed to turn up for the briefing without any valid reason will be deem as disqualified. All mode of payment (cash, cheque or Scout Fund) shall be made payable to ‘The Singapore Scout Association’ and indicate purpose for ‘East Area Chief Commissioner’s Award Exploration Test I’. The course application form is attached your action. Submission of application form and payment shall be made through our Area Administrative Assistant, Ms Banu at the Scout Association by the closing date, 26 February 2015. Should there be any clarifications, please contact our Area Administrative Assistant, Ms Banu at 62592858 (O) or email to banu@scout.org.sg. 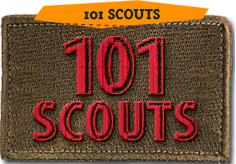 We look forward to the active participation by our Scouts.